SHIP TIME: All orders are shipped the following business day, M-F, from when they are received. Shipping from this website is limited to US and Canada addresses (see International Shipping option below). SHIPPING COSTS: While many companies raise the price of their products so as to offer free shipping, we prefer to be transparent by keeping our products as low as possible and offer you a few shipping options. 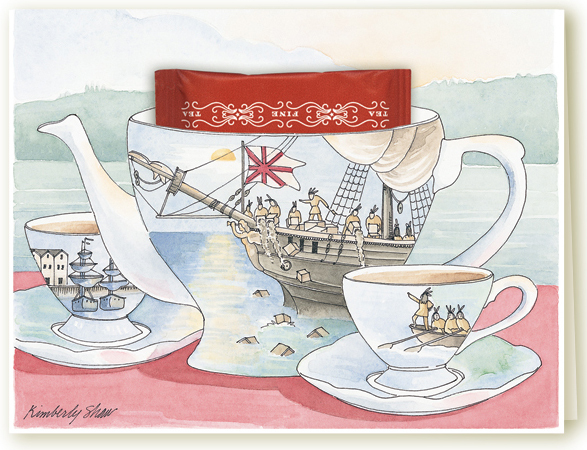 Where else can you find a greeting card with a delicious teabag included on SALE for only $2.00? Also, when considering the distance between our studio and your location, the price to have your items safely delivered while you enjoy doing other things isn't as high as you traveling here to purchase it. SHIPPING OPTIONS: Most Retail orders are shipped USPS Priority Mail (2-3 days) or First Class USPS. Larger boxes can take advantage of lower ship costs via FedEx (SmartPost, 3-10 day). Both have tracking and insurance, plus include a FREE Sticker Sheet to embellish envelopes, and a delicious teabag to enjoy while addressing your cards. 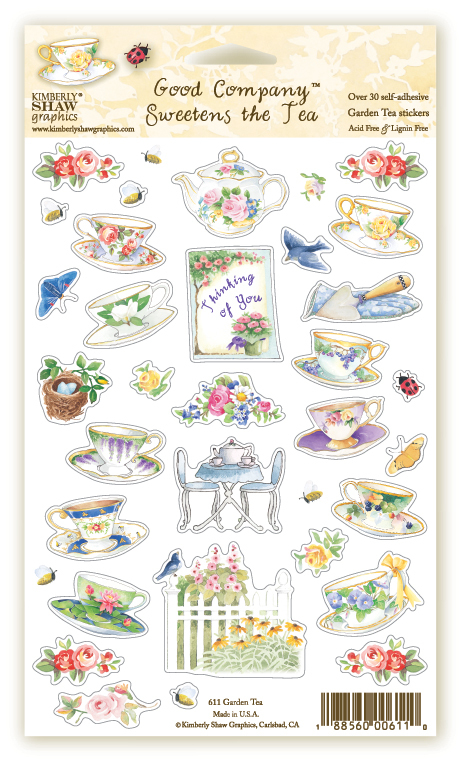 FREE THANK YOU GIFT: As a token of appreciation for your purchase, a FREE sheet of Stickers with a delicious tea attached is tucked in every Priority Mail and FedEx package! Not included in First Class packages as the postage cost increase, but we'll include a delicious tea for you to enjoy when your package arrives. WHOLESALE SHIPPING: Wholesale orders are shipped FedEx Ground to Commercial Storefront locations, and FedEx SmartPost or Priority Mail to Residential or PO Box addresses, whichever is less. INTERNATIONAL SHIPPING is available from my Etsy Shop / KimberlyShawGraphics. If you don't see what your looking for there, send me a request and I'll create a special listing for you. RETURNS: Every effort is been made to keep product and shipping prices as low as possible with little or no margin for Return costs, because Returns almost never happen. Returned items incur a 25% restocking fee. Return shipping cost is paid by the one returning the product. The refund is based on the resalable condition of the items (please pack and ship appropriately). We do not refund initial shipping cost incurred on your initial order. If you decide to keep the free Sticker Sheet added as our “Thank You,” $2.50 will be deducted from the refund. Once a refund has been issued it may take 10-15 business days to transfer. The best use of the cards you may have accidentally ordered is to send them to someone as a surprise blessing! If we goofed, every effort will be made to remedy the mess up at no cost to you. "In the business of making people smile"